﻿ How to Spend Money on Social (Without Losing It All) » Red Mango Marketing! Specific Targeted: $100 for 10 days – on a one-off post promoting your speaking engagement – targeting males and females aged 24 to 64 in the north Atlanta area that are members of Chambers of Commerce and list marketing as a hobby or profession. The goal: gaining attendees at your Constant Contact Partner’s marketing workshop. 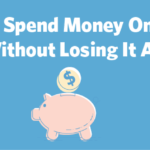 The post How to Spend Money on Social (Without Losing It All) appeared first on Constant Contact Blogs. This entry was posted on Friday, March 16th, 2018 at 8:00 am	and is filed under News & Updates, Social Media Marketing, Solution Providers. You can follow any responses to this entry through the RSS 2.0 feed. Both comments and pings are currently closed.